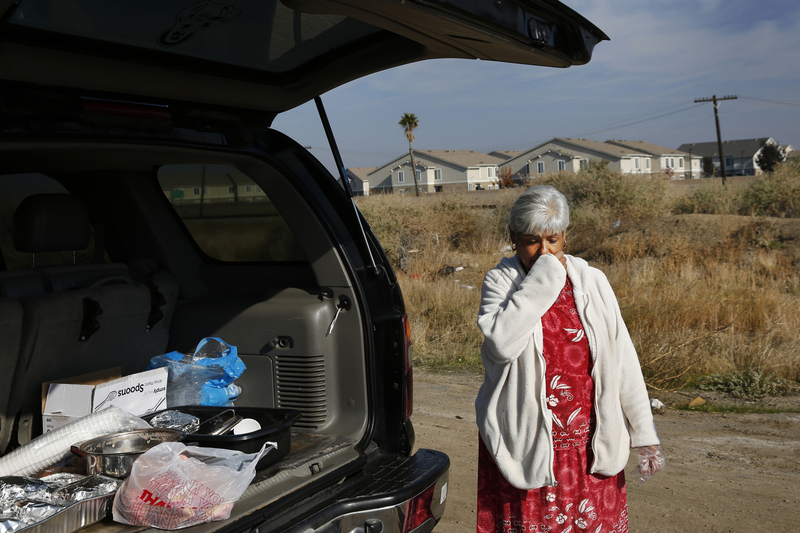 Maria Hernandez, 55, wipes away tears as she gives out lunch made up of arroz con leche, sandwiches, pan dulce and sodas to the remaining residents of the shantytown hours before the police are expected to evict them from the dried up canal bed. Hernandez has been feeding the homeless located in the canal for about nine years and knows every resident. She makes rosaries and sells them, then she uses the money to pay for the food she gives away.